I didn’t think the world was going to end if I continued driving my SUV. I didn’t think my SUV driving was significantly contributing to any environmental strife, or that the climate was warming because people like me were driving them. I didn’t think my SUV was intimidating to other drivers (and wouldn’t care if someone claimed that it was), or that I was somehow being inherently irresponsible by using one every day. No, there are two main reasons I bought a Toyota Prius on Saturday, and neither of them concern the environment. First, it’s a better vehicle. And second, it costs less for me to operate. 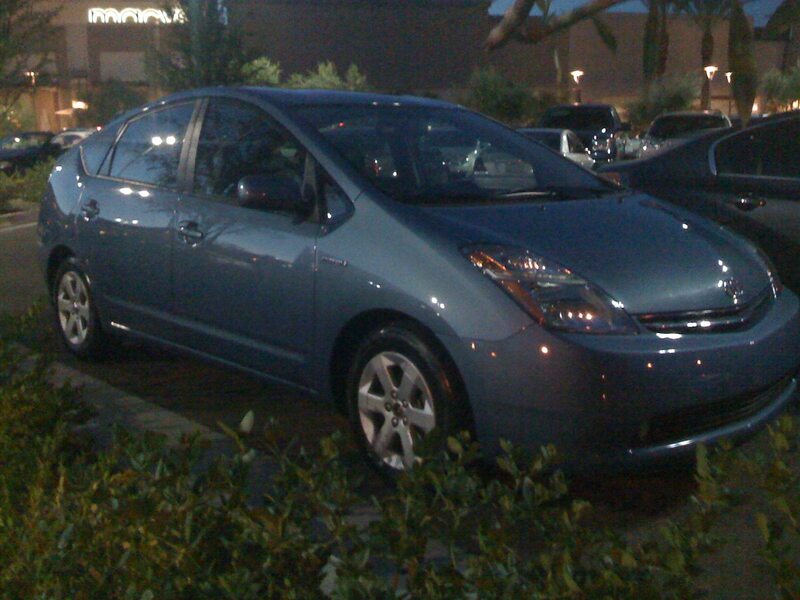 The Prius, like the Hummer, is a polarizing vehicle in today’s America. Where the Hummer has come to be viewed as the ultimate individual-over-community transportation choice – it’s big and heavy and imposing and American, and guzzles gasoline at the rate of a full gallon every 10 miles – the Prius is viewed in the exact opposite manner: it’s socially conscious, light, sips gasoline like it’s an herbal tea. 20,000 miles per year = 1,666 miles per month, divided by 15 miles per gallon in the SUV = 111 gallons of fuel per month, multiplied by the cost of fuel at $2.50 per gallon = $278 to put a month’s gas in the SUV. 20,000 miles per year = 1,666 miles per month, divided by 50 miles per gallon in the Prius = 33 gallons of fuel per month, multiplied by the cost of fuel at $2.50 per gallon = $83 to put a month’s gas in the Prius. For the same number of miles. Really, is there any further argument to make? I kept looking for the trade-off, the compromise. As far as I can tell, the only thing I’m missing is the huge trunk space. There’s more legroom in the Prius than there was in the SUV. It has premium sound, and Bluetooth phone syncing for hands-free voice dialing and talking. It has an iPhone hookup so I can play my music from it too. it has a very useful backup camera which shows me what I’m reversing into. It’s quieter, smoother, the air conditioning is colder. I’m a convert! But it’s nothing to do with the environment.